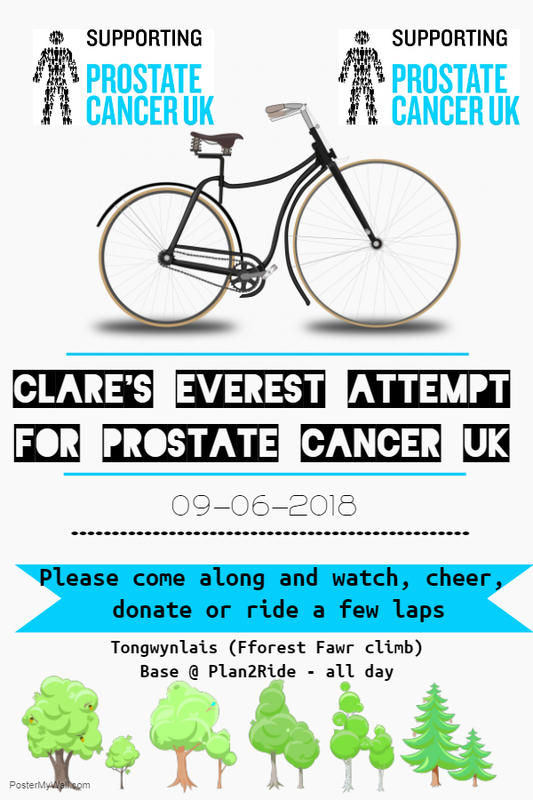 On Saturday 9 June a local cyclist, Clare Good, will be undertaking a sponsored “Everest” attempt on Heol-y-Fforest for Prostate Cancer UK. “Everesting” is a gruelling cycling challenge – where the cyclist rides up and down the same hill until they have climbed 8,848metres (in one ride and within 24 hours). For Clare this will mean she will need to undertake around 70 laps – starting from around Castell Coch View and turning around at the turning on to Rhiwbina Hill. Clare’s father was diagnosed with prostate cancer in 2014 and she took up cycling in order to take part in gruelling cycling challenges to raise money for Prostate Cancer UK. This will be Clar’s third challenge – and definitely her hardest. She has chosen Fforest-y-Ffawr for a number of reasons – but most importantly because she can count on the support (and cake!) from plan2ride. 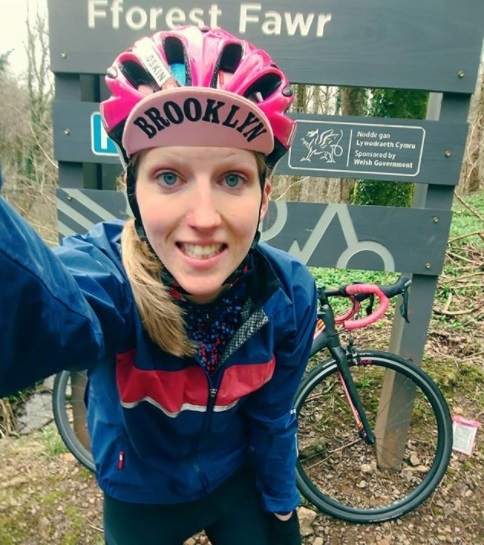 Clare will have a support team on the day to cheer her on and collect donations, with a base at plan2ride, and would be grateful for the village’s support – so come along and cheer Clare on as she puts Tongwynlais on the Everesting map! If you want to follow Clare’s training progress then head to instagram.com/clarebearr90 and if you want to sponsor her then you can do so at justgiving.com/clare-good90. Wow what a grueling challenge but an excellent cause. bu spa & well-being would love to donate to Clare a complimentary full body massage to enjoy either pre or post challenge to support the amazing work she is doing. Can someone have Clare get in touch with us to arrange.